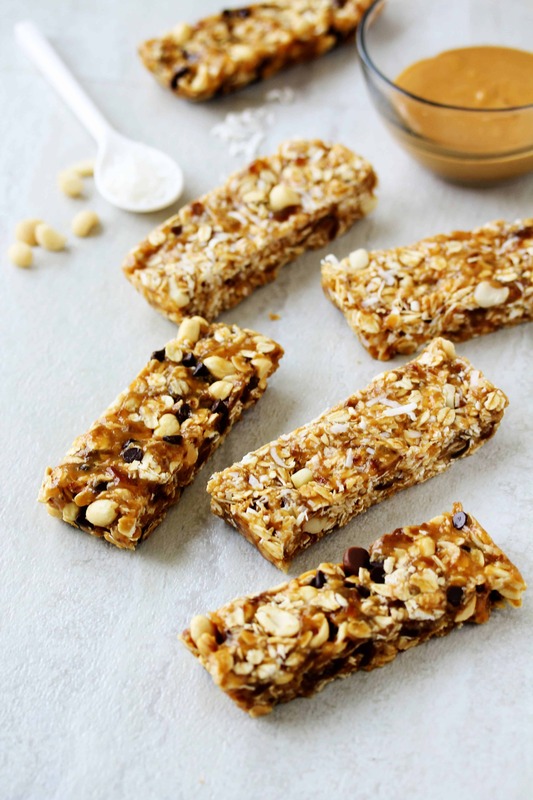 These healthy homemade granola bars are the perfect no bake snack to make when you want something quick and delicious. 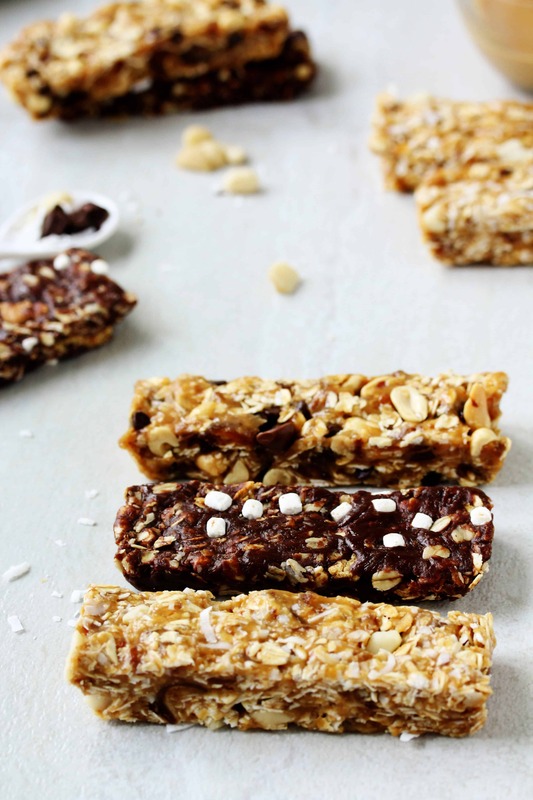 They’re chewy, a little crunchy, vegan, gluten free, and totally easy to make! 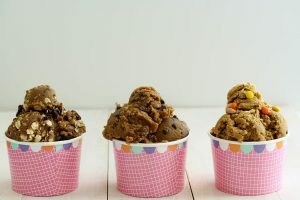 You can also make 3 different flavors with this recipe – s’mores, tropical, and peanut butter chocolate chip! 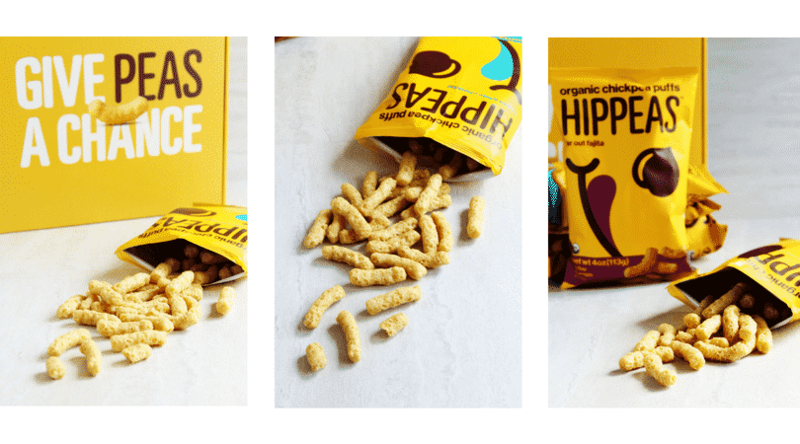 Thanks to Hippeas for sponsoring this post. As always, the thoughts and opinions in this post are my own and I only recommend products I use from brands I trust. Summer = Sun. Pool. Snacks. 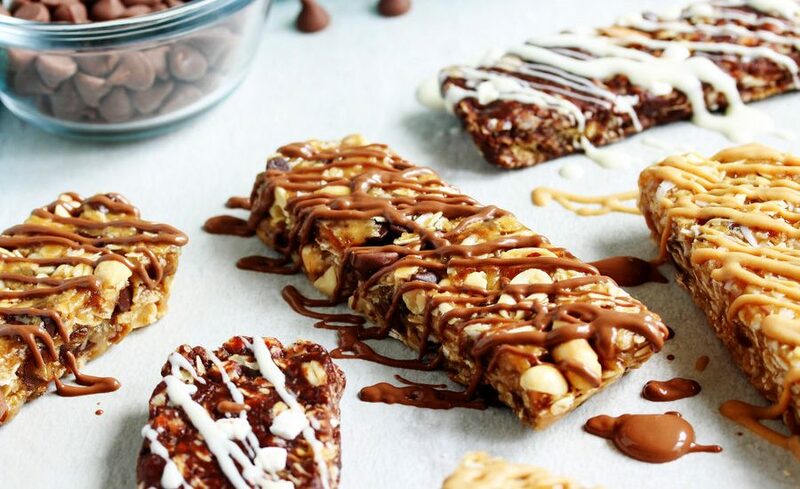 So let’s talk about assembling the best healthy pool day snacks! Because nothing’s worse than strategizing how to get the most coveted lounge chairs at the pool and then having to give them up a few hours later because everyone’s hungry and no one brought snacks! 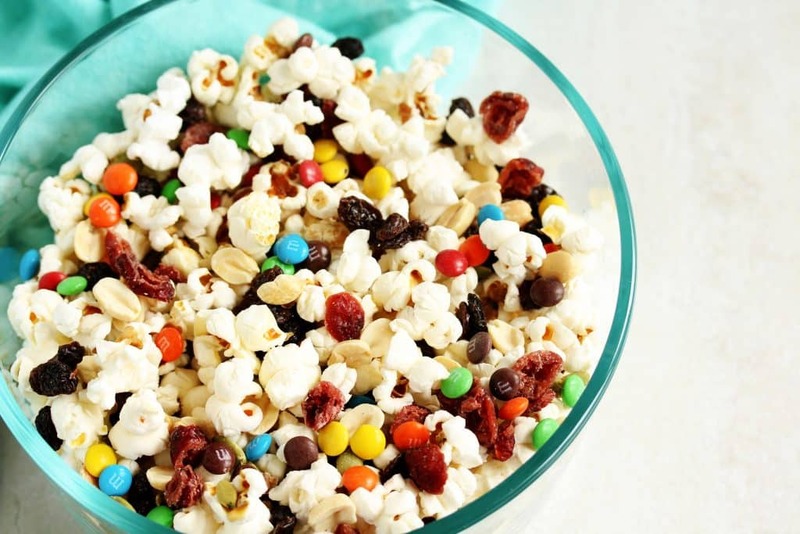 Trail mix is so easy to whip up on your own, there’s really no need to buy it. Throw all your mix ins into a big ol’ bag to share with all your buds. While I’m totally partial to anything chocolatey, you might want to skip the chocolate chips and M&M’s if you’re taking it out in the heat…but hey, I do always say if there’s anything better than chocolate, it’s melted chocolate! 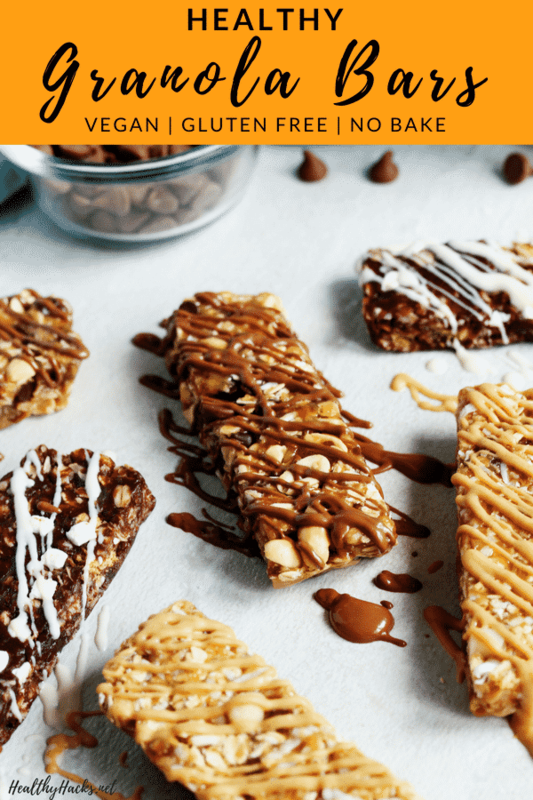 Homemade Granola Bars – 3 flavors! 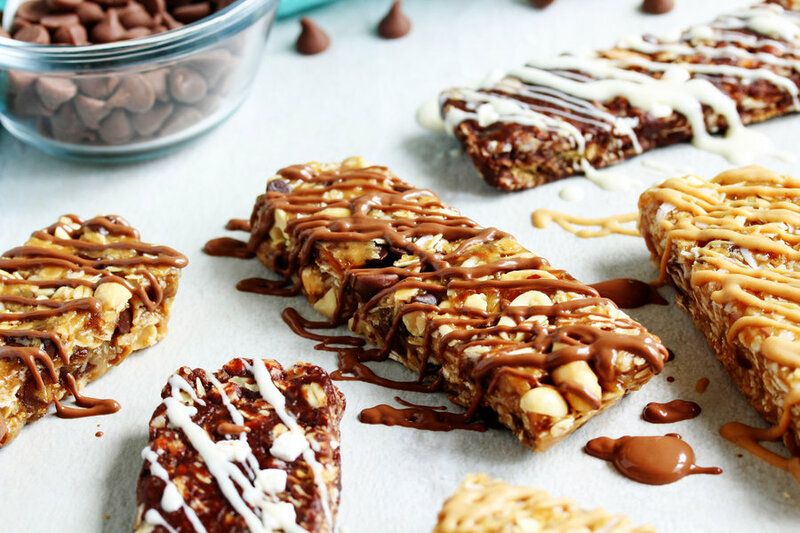 I’m pretty sure chewy granola bars should be their own food group. They’re so versatile the options are endless! 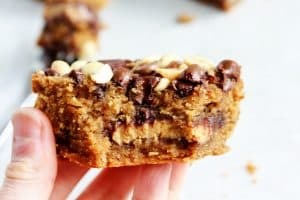 And these just so happen to be insanely chewy, full of oaty goodness, and non-melty making them perfect for a pool side treat. The ultimate of summer snacks. 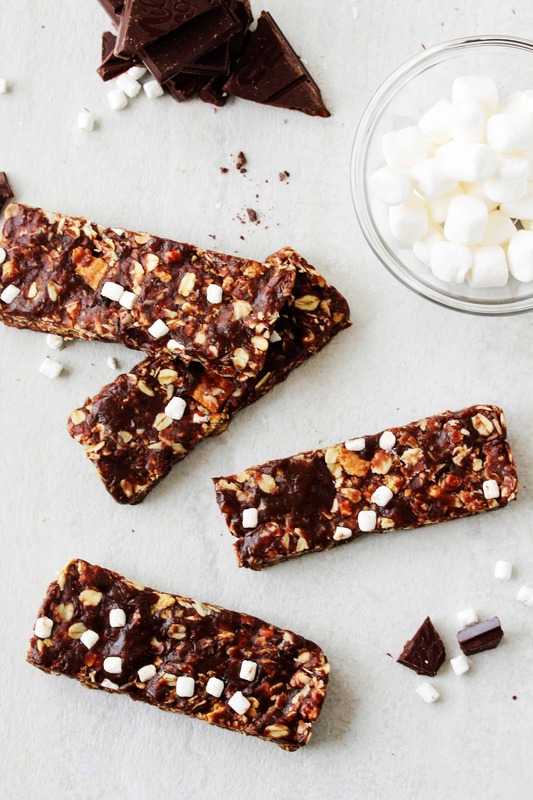 It’s chocolatey with bits of graham crackers and little surprises of marshmallow. You can use gluten free graham crackers and vegan marshmallows if you want to keep this version gluten free and vegan. I mean, if anything says beautiful summer day by the water, it’s the tropical flavors of coconut, macadamia nut, and pineapple! 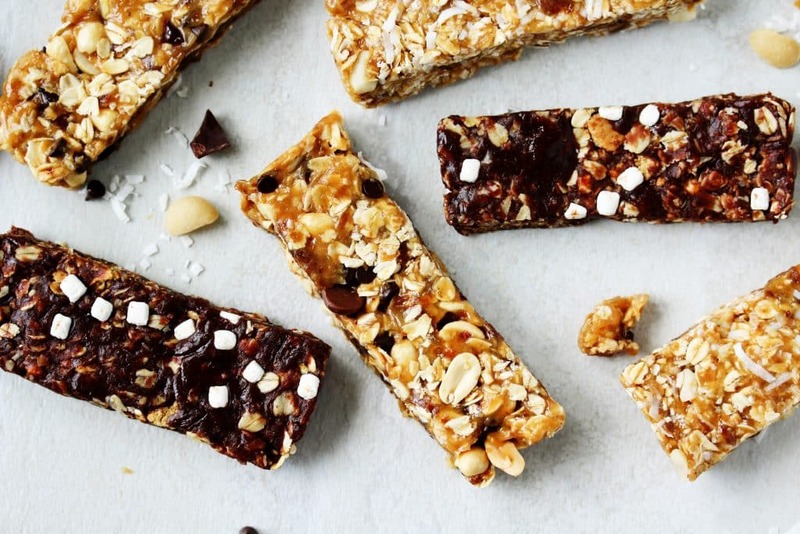 But why stick to just one of these chewy goodies? If you want, you can half the recipe and make a 9×5 sized loaf pan of two different flavors. What else are you packing in your pool snack bag? Line a 9”x5” loaf pan with aluminum foil. In a food processor or blender or blender, blend the oats, nut butter, brown rice syrup (or honey), dates, and salt together until smooth and well combined. For the s’mores granola bars: add the cocoa powder and blend until well incorporated. Fold in the graham crackers and marshmallows. 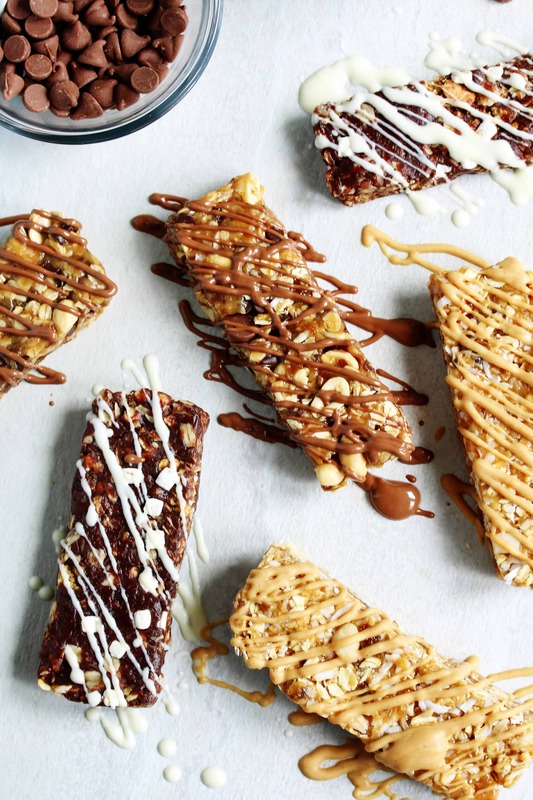 For the tropical granola bars: fold in the macadamia nuts, coconut, and pineapple. 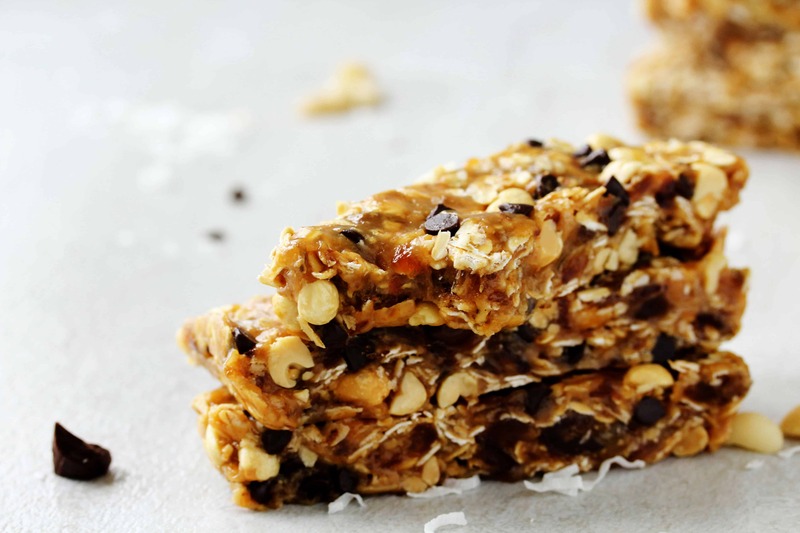 For the peanut butter chocolate chip granola bars: fold in the peanuts and chocolate chips. Firmly press the mixture into the prepared loaf pan and refrigerate for at least 2 hours. Once firm, cut into 6 even bars. Store the bars in an airtight container. They can be kept at room temp. for 2-3 days or in the fridge for 1-2 weeks.